THE BOYS AND GIRLS CLUB of Haynesville celebrated the last day of the summer season July 30th with a splash party. 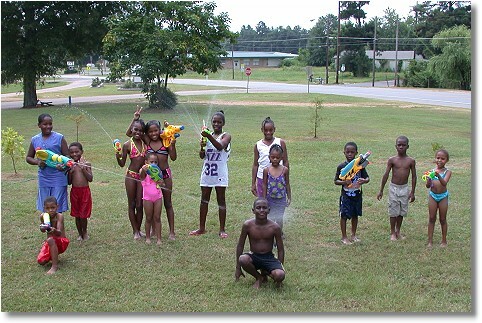 The children played in the water sprinkler while shooting each other and the cameraman with their powerful water guns. They also enjoyed a grilled hamburger for lunch. It’s good to see the children staying cool and having a good time.